With new approvals making Fountaingate Gardens even closer to reality, we’re now getting a look at what that reality will look like when our community opens. We’re excited to share two new, high-definition renderings of the places our residents will stay active and thrive on campus: the fitness center and the indoor pool. Whether you’re training for a marathon, or simply enjoy the feeling of gliding through the water, there’s space for you. 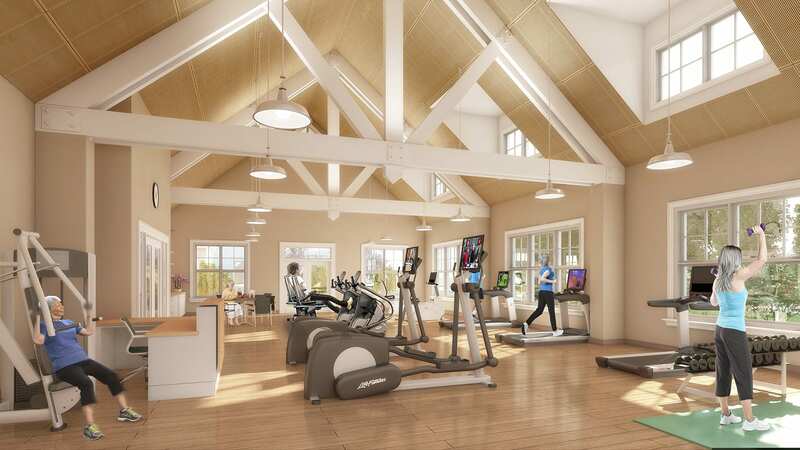 The rendering of the well-equipped fitness center presents an airy, well-lit space for all sorts of exercise, including cardio, strength, flexibility, balance, yoga and more. At the fitness center, Fountaingate Gardens’ expert wellness team will provide individualized guidance and assistance, so whether you’re a lifelong athlete or jumping into a new fitness regimen, you’ll be able to exercise safely and confidently. Brand-new fitness machines and plenty of space for movement will help you get the most out of your workout, and it’s all part of our commitment to overall wellness as a Life Plan Community*. The rendering of the indoor salt-water pool shows a bright and spacious area, where the plentiful windows and abundant lighting bring the ambience of an outdoor pool to the comfortable indoors. At the pool, Fountaingate Gardens’ wellness team will offer water fitness classes, fun special events and even hydrotherapy. 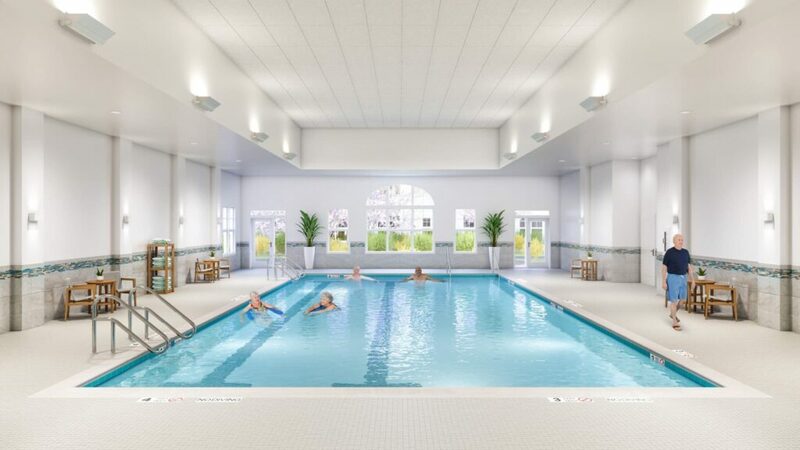 With year-round access and constantly perfect water temperature, you can easily envision yourself making waves in either of the lap lanes, enjoying strengthening water aerobics, or just splashing with the grandkids in the shallow end! If these virtual previews have you considering making Fountaingate Gardens a reality for your future, now’s a great time to get in touch! You can reach us by phone at 631-715-2693, or simply click here to send us a message.